I came here and played a show (in the #Wunderbar) in June. A friend – Ash Kilmartin – had done a residency here and she recommended it, so here I am! It’s an opportunity to spend time here, and with Ash, so it’s all good. I really like it, it’s very chilled though I haven’t seen much of the city. I have looked round this area (Witte de With). I’ve also played a gig last year here, I can’t remember where, but it was north of the station [LAUGHS]. I am pretty practical when I work. And normally I don’t have the luxury of having a lot of equipment. I have just made an album and there’s a lot of DX7 on it, but I was lucky enough to borrow one from a friend. But I may start using equipment in a different way after this week. 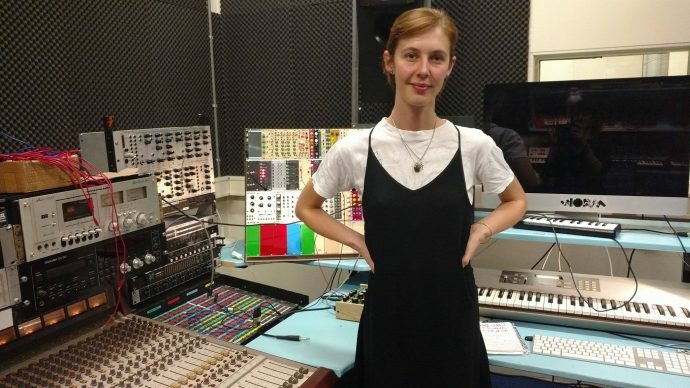 Carla dal Forno’s new LP, You Know What It’s Like, is released 27th October 2016 on Blackest Ever Black.